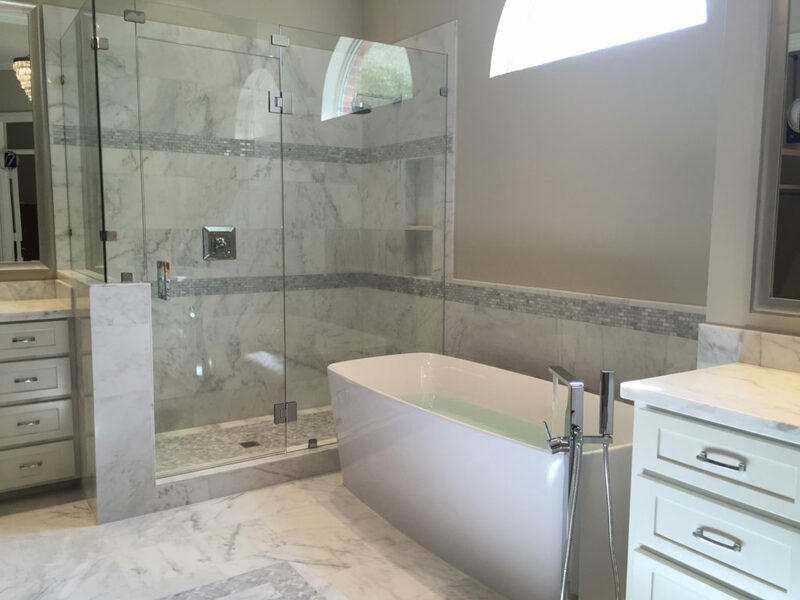 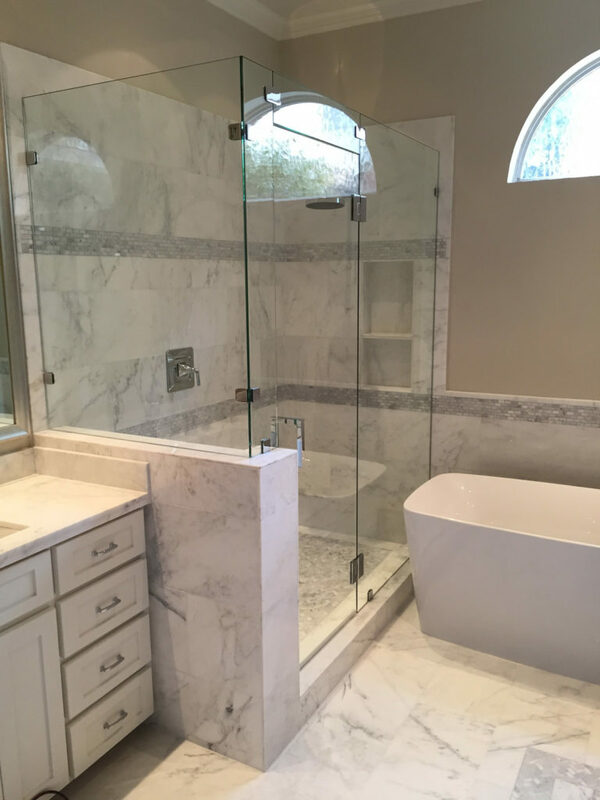 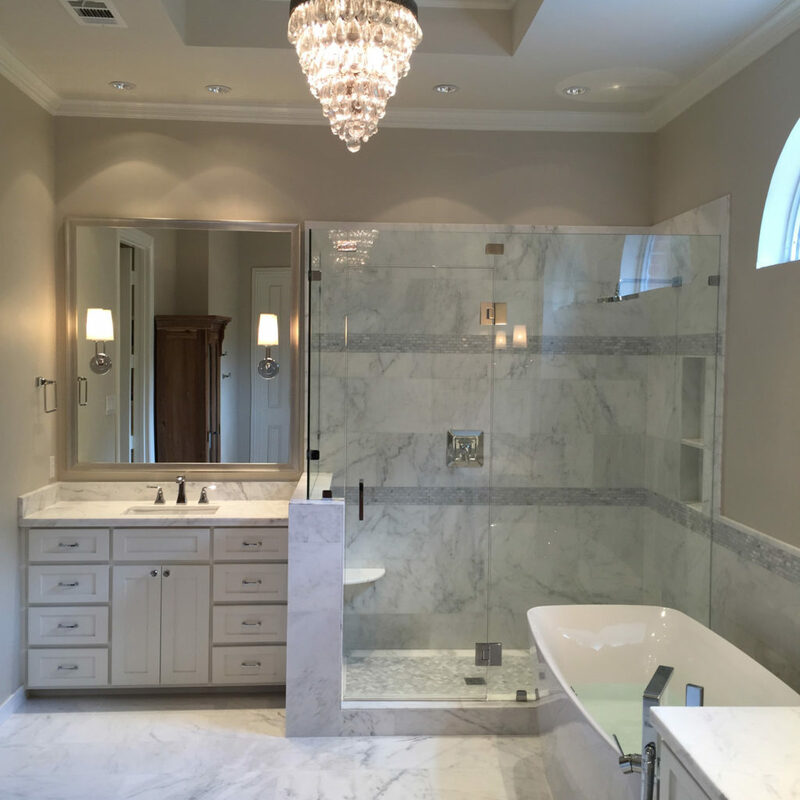 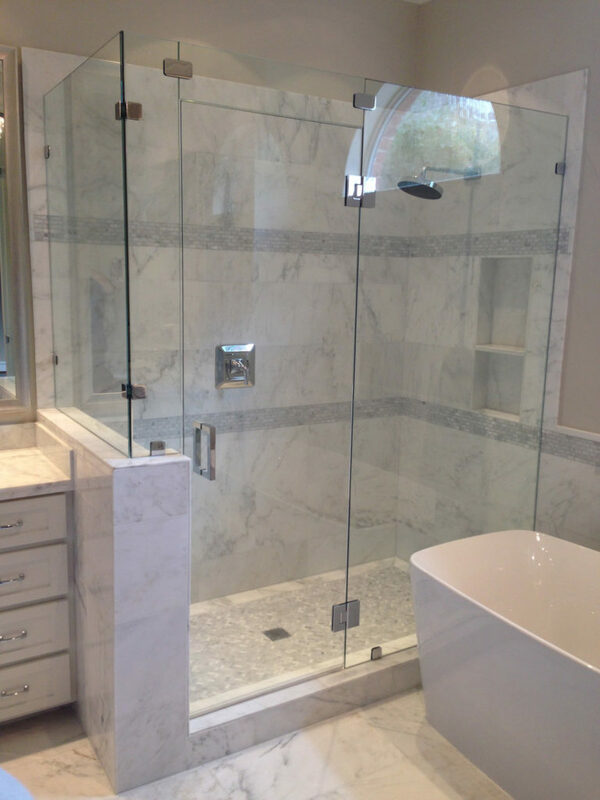 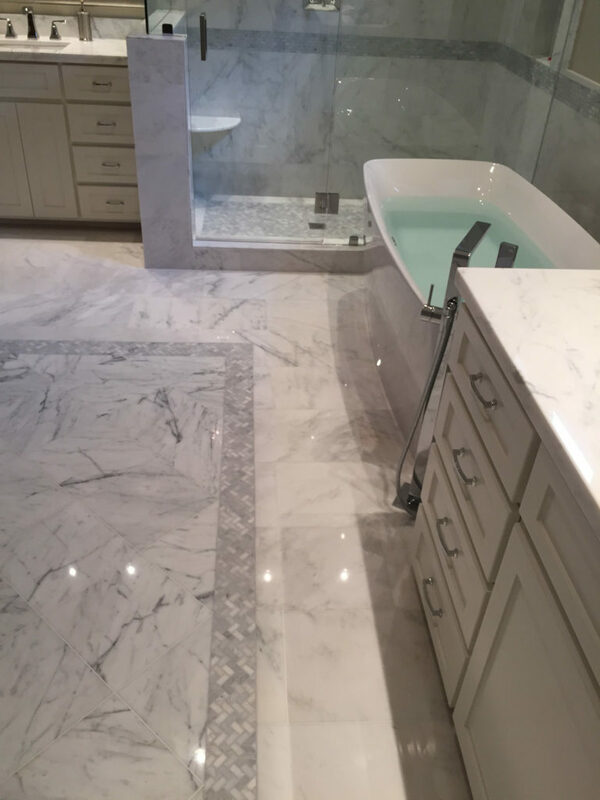 With a chandelier and wall to wall marble, this master bathroom drapes you in luxury the moment you walk in. 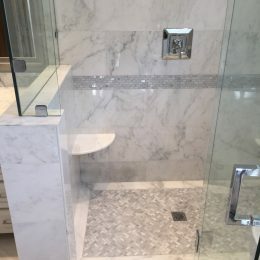 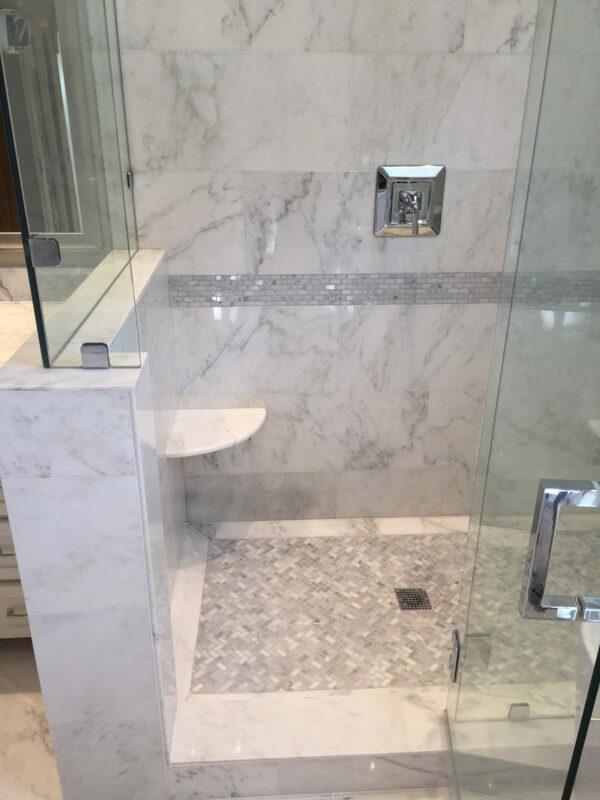 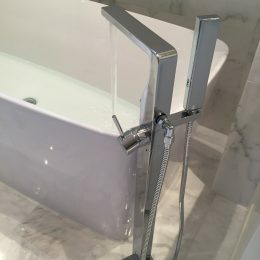 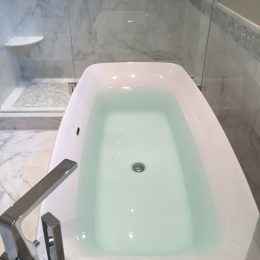 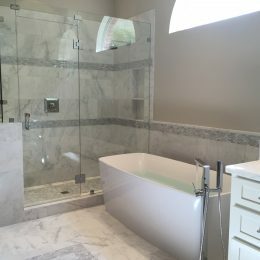 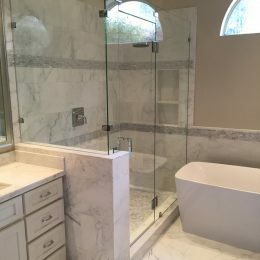 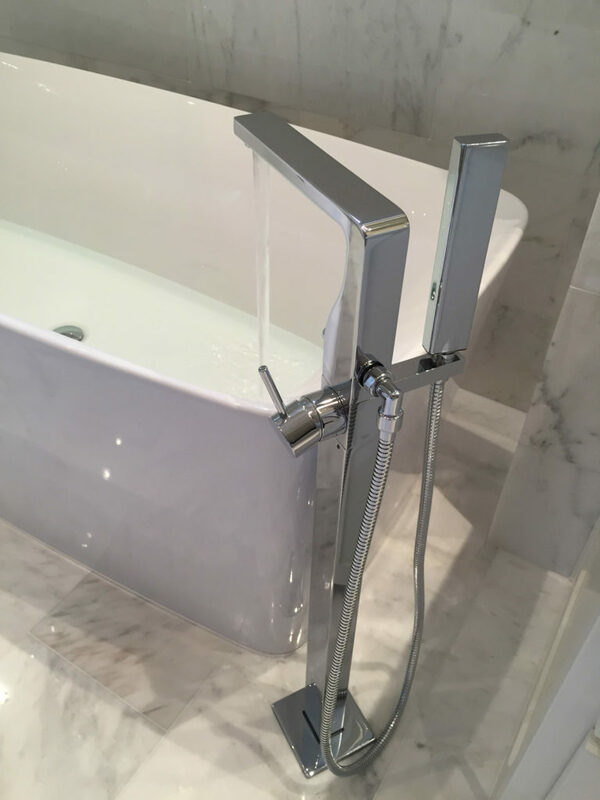 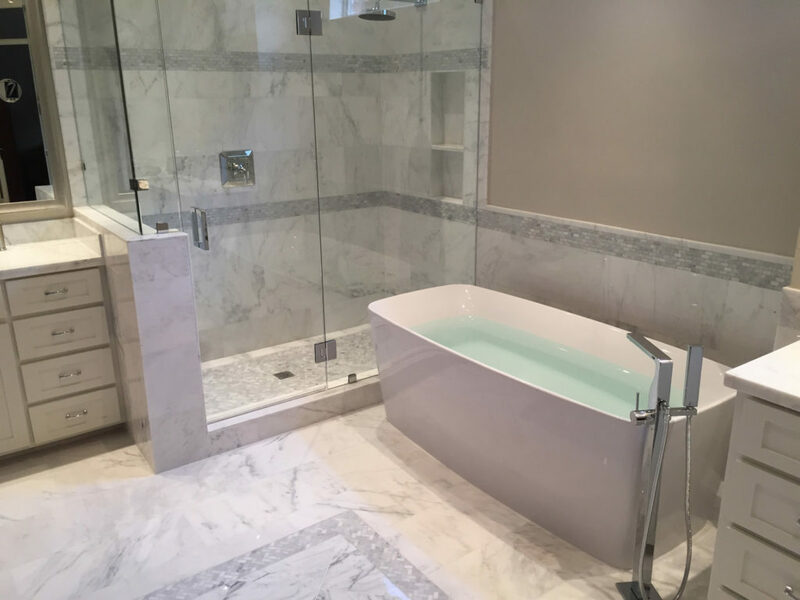 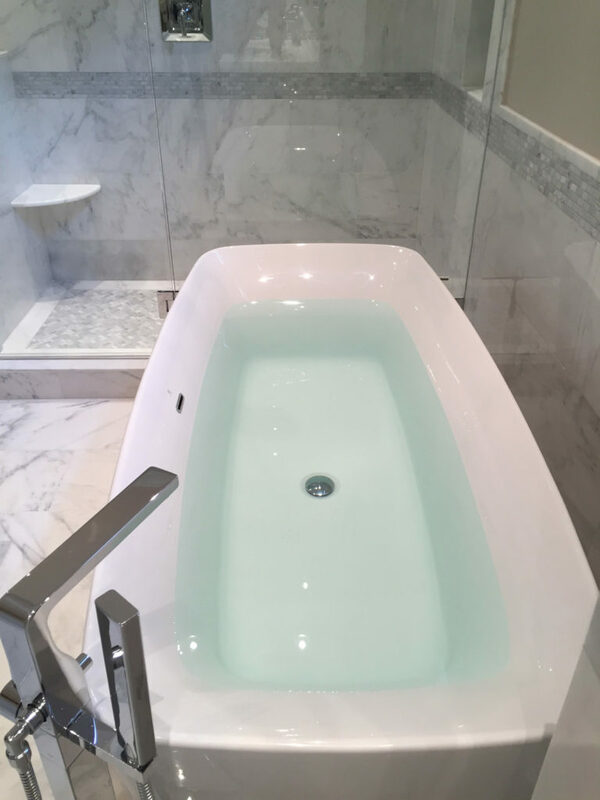 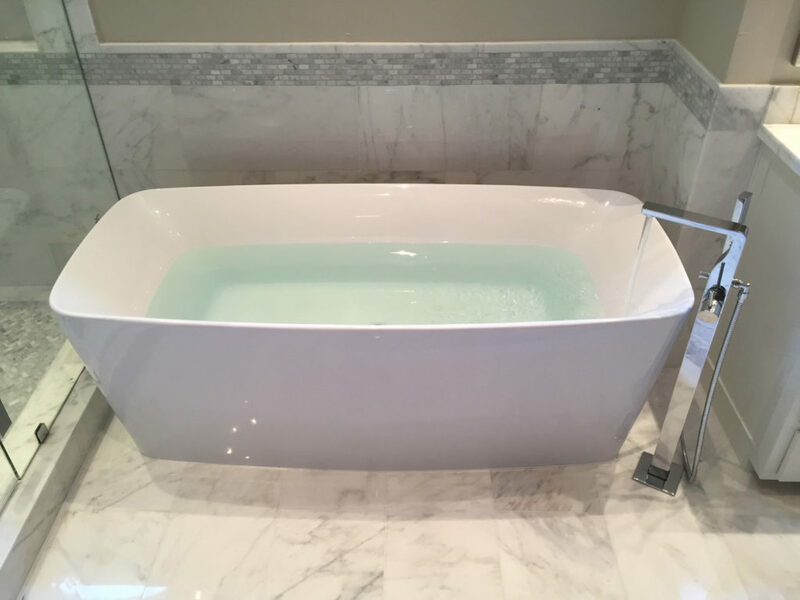 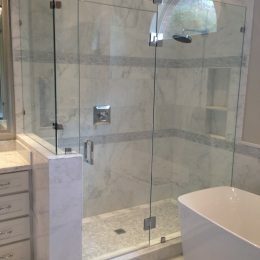 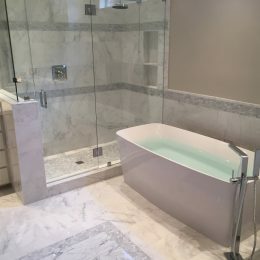 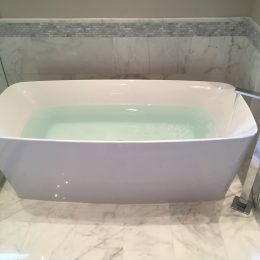 The large frameless shower with rainfall faucet help wash away the stresses of the day, and a modern standalone bathtub invites a soothing soak. 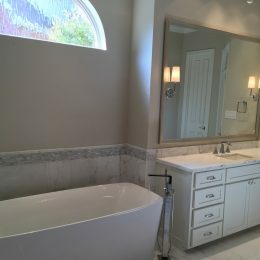 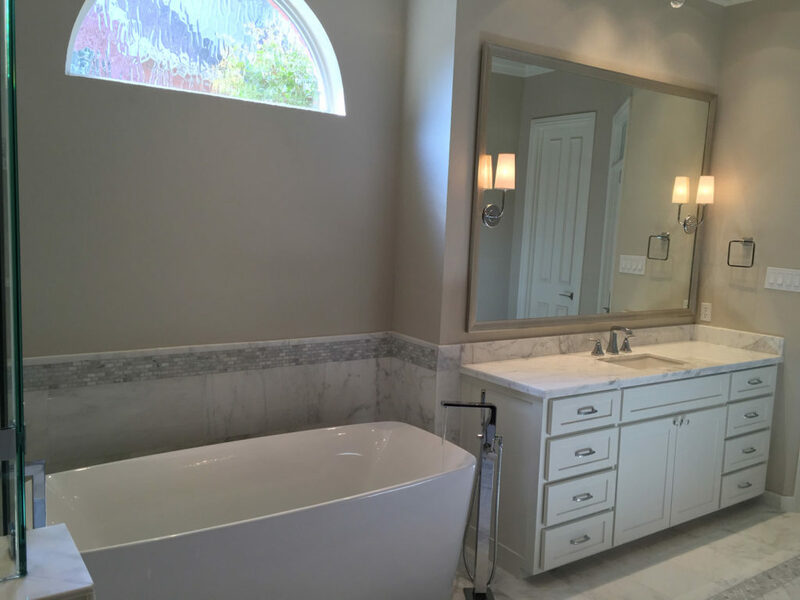 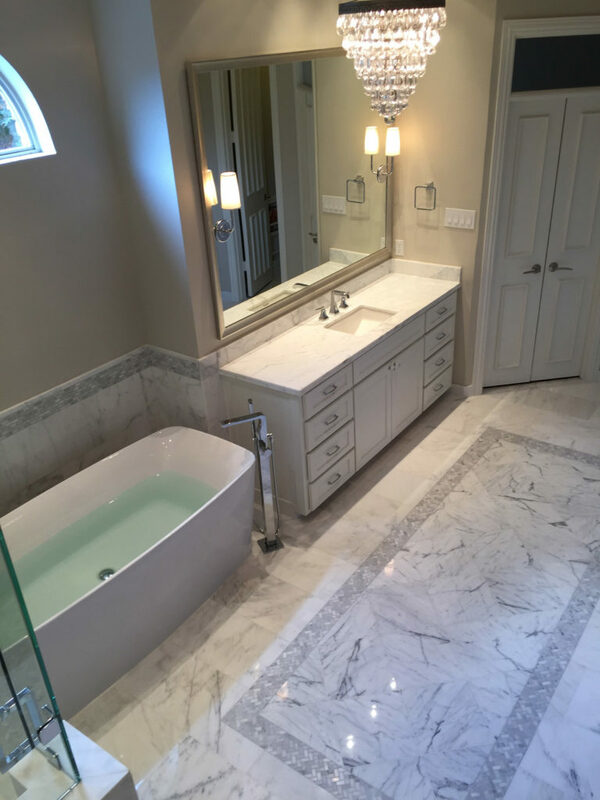 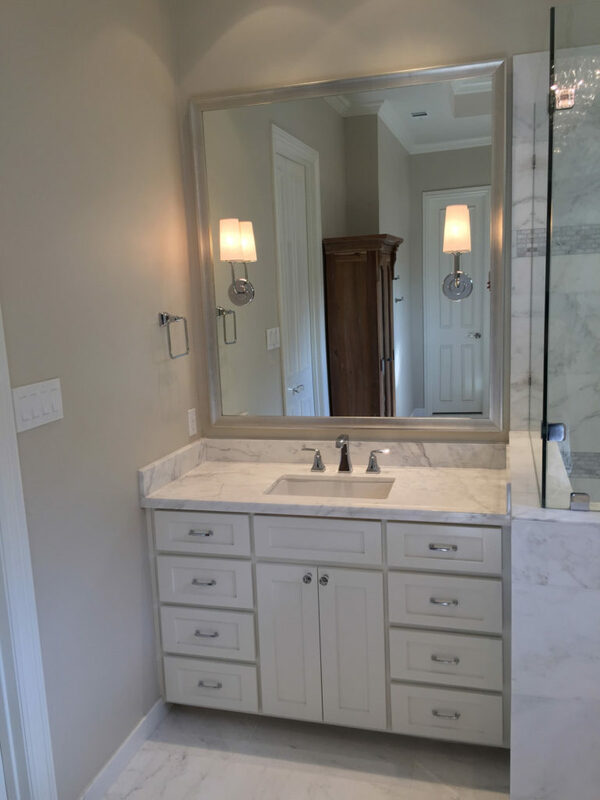 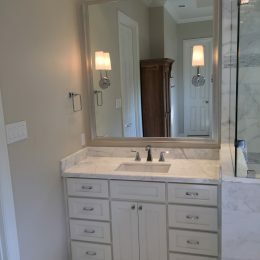 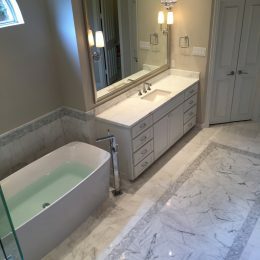 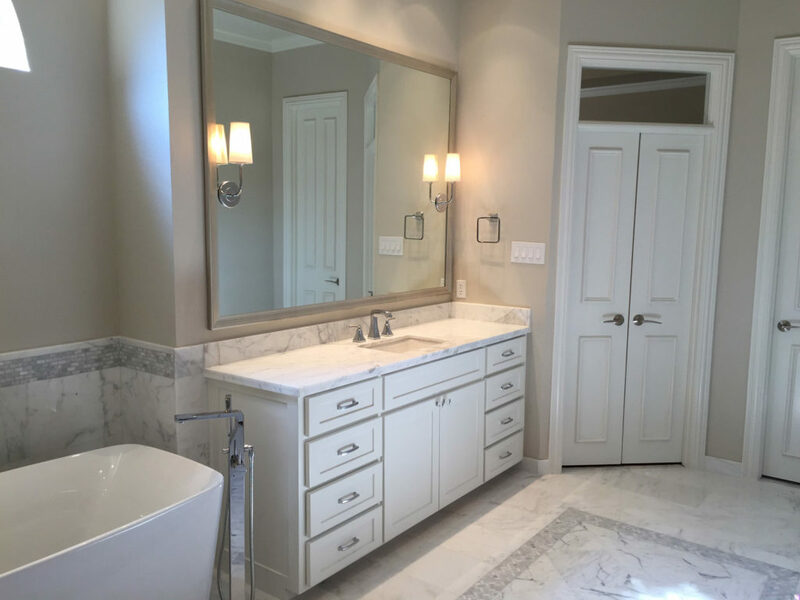 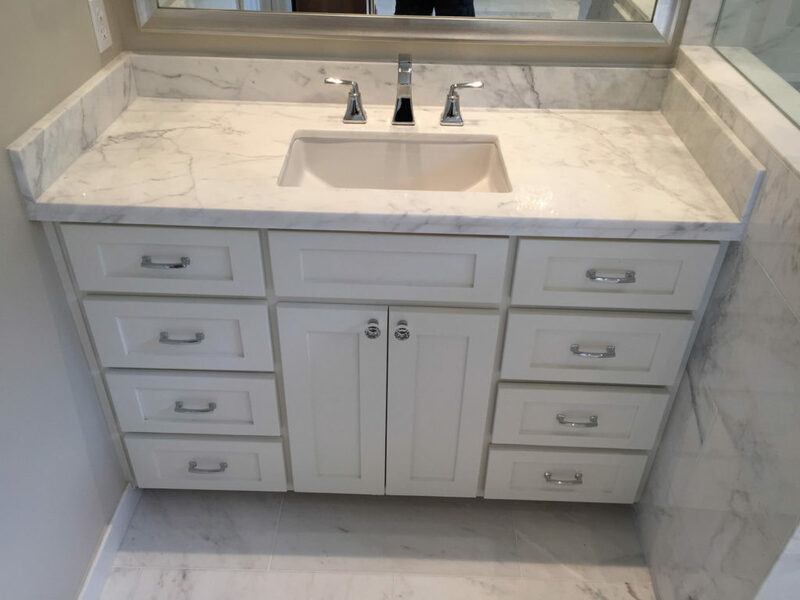 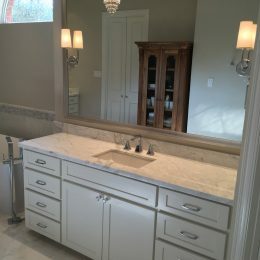 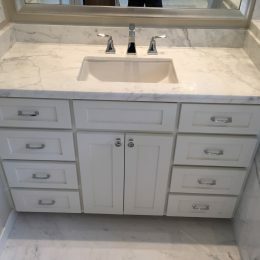 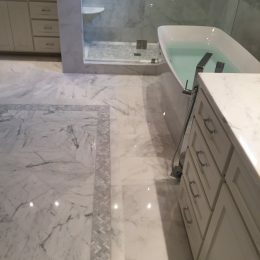 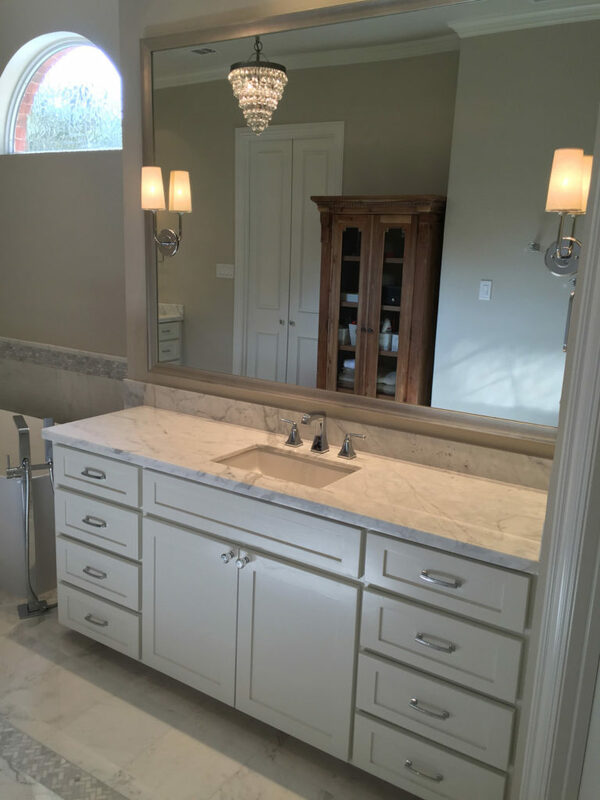 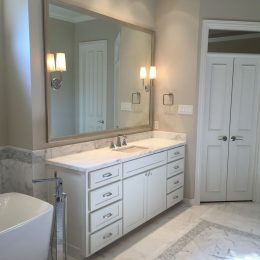 This is truly a beautiful master bath.